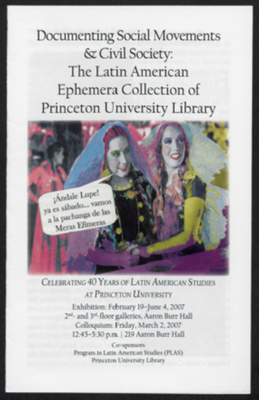 Puerto Rico at Princeton University Library. Original item is not kept as part of the Latin American Ephemera Collection. 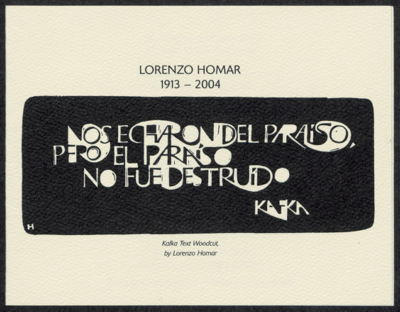 Lorenzo Homar, 1913-2004. Nos echaron del paraíso, pero el paraíso no fue destruido. Kafka. Lorenzo Homar. 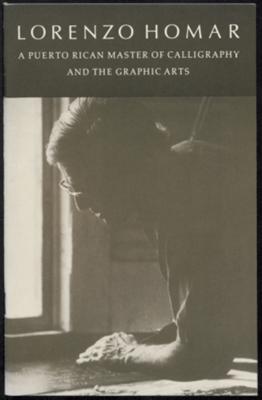 A Puerto Rican Master of Calligraphy and the Graphic Arts. 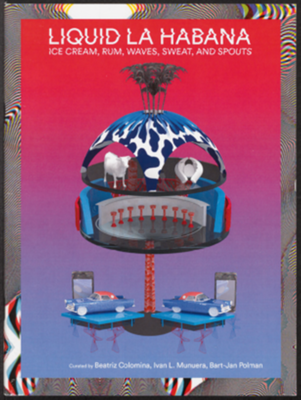 Liquid La Habana: Ice Cream, Rum, Waves, Sweat, and Spouts.